The canton of Basel-Stadt (German: Basel-Stadt "Basel-City"; French: Bâle-Ville, Italian: Basilea Città) is one of the 26 cantons of Switzerland. The city of Basel and the municipalities of Bettingen and Riehen form its territory. 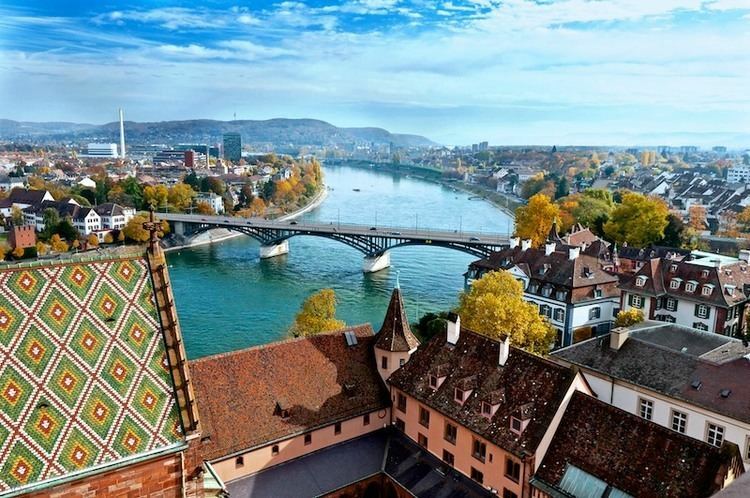 The city-state canton of Basel is the smallest out of all 26 cantons in Switzerland. 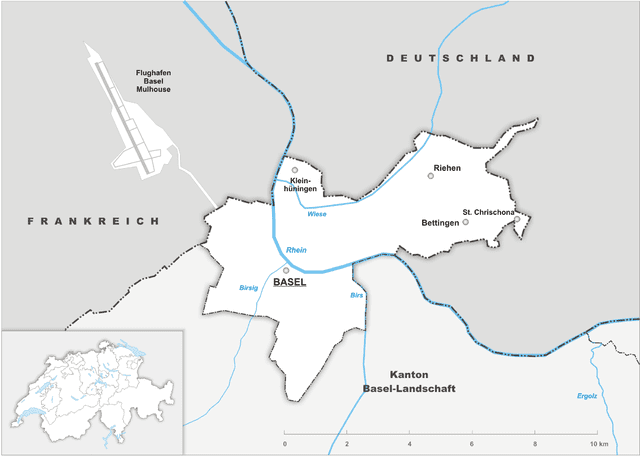 The canton of Basel-Stadt was created when the historic canton of Basel was divided in 1833, following political quarrels and armed conflict in the canton. Some of these were concerned with the rights of the population in the agricultural areas. They ultimately led to the separation of the canton Basel-Landschaft from the city of Basel on 26 August 1833. Since then, there has been a movement for reunification. This movement gained momentum after 1900 when many parts of Basel-Landschaft became industrialized. The two half-cantons agreed in principle to reunite, but in 1969, and again in September 2014, the people of Basel-Landschaft voted against this proposal in favour of retaining their independence. The canton of Basel-Stadt is located in the north of Switzerland. It borders Germany (Baden-Württemberg) and France (Grand Est) to the north (the three countries meet at the Dreiländereck), and Basel-Landschaft to the south. Basel is located at the so-called 'knee' of the River Rhine, at the point where from the west the little Birsig joins the Rhine from the left, and where the Rhine itself switches from flowing in a westerly direction to a northerly flow. The area of the canton is 37 square kilometres (14 sq mi), making Basel-Stadt the smallest canton in Switzerland. The population of the canton (as of 30 June 2017) is 198,249. As of 2007, the population included 56,106 foreigners, or about 30.29% of the total population. The population (as of 2000) is nearly evenly split between Roman Catholic (25%) and Protestant (27%). About 10% of the population is classed as "Other Religion" while 36% do not belong to any organized religion.